A camshaft is the brain of your engine. It tells the engine the proper time to breathe in and when to exhale and keeps the spark plugs firing on queue. Picking the wrong cam is like having a couch potato enter a marathon. The wrong application just isnt going to work properly. This also applies to designing a cam that is suited for your type of induction, be it naturally aspirated, turbo, supercharged, or in our case, nitrous-assisted. But the true question is, what makes a nitrous camshaft different than a naturally aspirated version, and do they make power? These are the questions that we plan to answer in this segment called NITROUS CAM 101. We shot 2 nice videos on all of our testing. Watch them below, and then read the article! You'll see that we will be spraying the small block with a 150 shot, as well as performing naturally aspirated runs across three nitrous cams and one naturally aspirated, to see which made the most power, and what we learned. Now, this IS a small block Chevy, but the information, and knowledge learned, are just as applicable to a Ford as to our SBC test mule. "They are actually quite similar to naturally aspirated cams. Nitrous puts more nitrous and fuel in the motor, not pressure. What you do for nitrous combinations is really tune for the power increase. If you have a 150 shot of nitrous, it is going to add that horsepower in throughout the power band. What you have to deal with is the increase in torque. Typically, no mild bracket race or street car is going to handle 700 foot pounds of torque at 2600 RPM." Two off the shelf nitrous cams, one custom grind and one naturally aspirated shelf cam. Which will win? When we first designed our Xtreme Energy nitrous cam, we saw that we could make about fifteen more horsepower if we put more exhaust duration and a wider lobe separation on it with the same intake duration. However, it gave up about fifteen foot pounds of torque, resulting in power curve shift. This allowed the nitrous torque hit to become more manageable. The wider lobe separation basically shifts your power band. From a safety perspective, you are going to get a little more overlap and an earlier exhaust opening, resulting in less pumping loss and a little less cylinder heat. The main thing that we want to convey is that a good normally aspirated cam will be a good nitrous cam in most applications. However, the more serious someone gets about the best ET with nitrous, the more they need to look towards a nitrous specific cam. This is especially true as the nitrous levels rise above ½ nitrous HP for every 1 HP normally aspirated, and the combustion process becomes faster and more unstable. The foundation: a Dart SHP short block with all forged internals and rings gapped for nitrous. It only made sense to start our test with a combination most people know: a 400 cubic inch small block Chevy. This engine was a fresh piece that was assembled hours before our blasts on the dyno at Westech Performance. Its basis is a Dart SHP sportsman block with a forged internal rotating assembly upgrade that has been built by Dart. The top end utilizes a Dart Pro 1 Top End Kit that comes complete with a single plane intake manifold, 215cc fully assembled as-cast aluminum heads, valve covers, gaskets, and bolts. With the 72CC bowl on the heads, the final compression ratio landed at a conservative 10:1, a perfect pump gas street engine. The Dart Pro 1 aluminum heads featuring a 215 CC intake port and a 72 CC bowl for a 10:1 compression ratio. The Comp Cams 1.52 Pro Magnum Rockers accompany High Energy hardened steel push rods. With hopes of making over 700 horsepower on nitrous, we needed a valve train combination that was going to last, while keeping money in our piggy bank. We also plan to rev the engine close to 7,000 RPM, so we needed something that was going to hold up. Going for durability over extreme weight savings, we opted for the Pro Magnum 1.52 Rocker arms on a beefier 7/16th stud, supported by hardened Extreme Energy push rods and OEM style hydraulic roller lifters. Pro Magnum Roller Rockers are built entirely from 8650 chrome moly steel, a material three times as strong as aluminum. The Extreme Energy push rods are one piece and have a thicker wall. For the lifters, Comp Cams has gone to great lengths to make these hydraulic rollers last on higher RPM's. They rate their OEM style lifters at 6500 RPM and normally .550 lift before running into any floating or binding issues with the lift. We retained an OEM-style hydraulic roller lifter setup, taking advantage of the spider mounting tabs Dart integrates into the block. Wrapping up the valvetrain side, we went with a Comp Cams billet dual timing chain. This setup gives you the ability to adjust cam timing and it's a fairly inexpensive part. For the timing cover, we chose the three piece cover in order to help speed up the process of cam timing adjustment. We went with a Holley 830 CFM carburetor for our remaining part. Believe it or not, this is the same carburetor that Holley builds for NASCAR competition. The HP line is definitely a race line, though tamer than their Ultra HP line, which allows these carbs to be used on the street too. The smoothed venturis, high flow metering, screw in air bleeds, high flow main bodies and metering blocks are some of the benefits of the HP. Additionally, the down leg boosters drop the discharge ring lower in the carburetors main venturi where it operates in air of higher velocity, drawing more fuel than the annular style booster. Finally, we come to the Pertronix Plug and Play distributor. This distributor does not need a CD box. It works with its internal Ignitor 2 microprocessor controlled module that has the ability to adapt dwell time. This means that at lower RPM's, when high spark energy isn't needed, the dwell time decreases. When the engine RPM increases and you need more spark energy, the ignitor will open the dwell time. The Valvetrain is ready to go under the stamped Dart valve covers. ZEX is known for their self-contained nitrous and solenoid units, commonly known as the little purple rectangles that house all of the electronics and solenoids into one compact unit. Needing to venture into the higher horsepower and carbureted market, they developed a more traditional kit with a unique perimeter plate design. There is always the hope that holes drilled in traditional spray bars are pointed in the right direction, but might not be optimal for all manifold designs. By having a perimeter design, youre really allowing the intake manifold to do its job on pulling what it needs to each individual cylinder, says Matt Patrick of ZEX. The side benefit? As the entire nitrous plate fills with super cold nitrous, it helps cool the components bolted to it. The kit comes with everything you need. Traditional style big shot solenoids for nitrous and fuel attach to the plate via the supplied braided lines. There is a purple ten pound bottle with brackets and all associated wiring, including a window switch. The plan is to spray between 150-175 shot to see if that will to be enough to see gains on our small block. Comp offers two off-the-shelf hydraulic roller nitrous cams for small block Chevy's, though these cams are for mild applications and are designed for heavier, automatic cars. Since the engine was going with a 2700-pound Tremec TKO-600 5 speed car, we were able to be more aggressive with our naturally aspirated cam choice, and opted for a custom grind by Steve at Westech as a third nitrous cam to match the NA cam specs. The first cam we tested was our smallest nitrous cam. We are going to start the test with the smallest nitrous cam and finish with the naturally aspirated version. All cams used require a trust button, wear plate, and aftermarket springs. Designed for 175+ nitrous system. 2500+ stall with lower gears and headers. Street /strip applications, 9.5:1 CR, intake, headers, 3000+ stall, gears. Steve from Westech had the long block assembled in one day and set the engine up with the first nitrous cam. We rolled the engine from the assembly area to the engine dyno the next morning, and Steve spent a little over an hour setting up the engine. Since this was a brand new engine, Steve warmed the motor up and let it idle, then performed some low RPM pulls to break it in. After the engine was broken in, we made a few naturally aspirated pulls. The small nitrous cam made some of the best low-end toque of all the camshafts because it was designed for lower RPM power bands and was out of power by 6000 RPM. Now it was time for Steve to spend the next 90 minutes installing the larger off-the-shelf nitrous cam. The changes in the curve naturally aspirated netted a slight loss in the low-end torque, but gained an overall increase in total torque due to the shift in the power band. 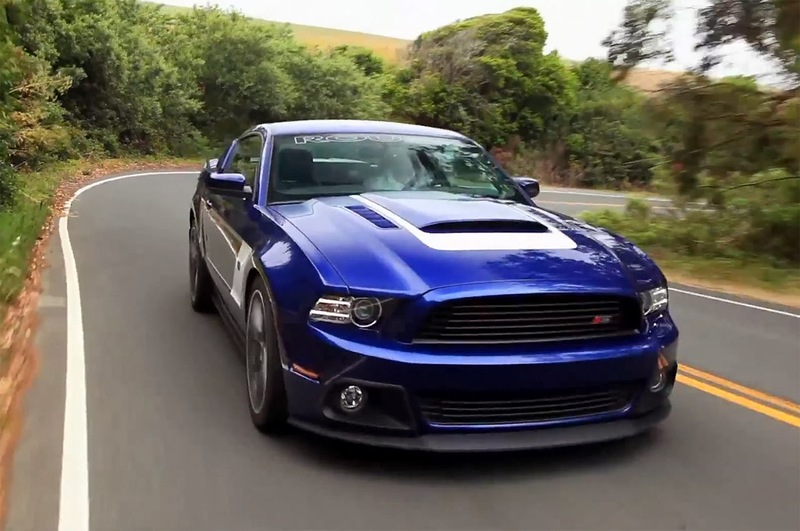 On nitrous, total horsepower increased slightly but lost nearly 11 ft/lb on the torque side. This can be attributed to the shift in the cam profile in relation to RPM power band. We began testing the last two cams on day three, starting with the custom grind nitrous cam. This cam was designed by Steve at Westech, with the assistance of Comp Cams, to create a directly comparable result to the naturally aspirated cam but with a nitrous profile. We ran two different nitrous runs for the custom grind and naturally aspirated cam: One at 950 PSI of bottle pressure for the jetted 150 shot gain, and a 1050 PSI run that pushed it a little further. There was a subtle increase between this cam and the previous nitrous cam. While power gains naturally aspirated were slightly increased, the average power numbers between the two graphs were virtually identical: the custom grind made more top end power, while the second shelf cam made better low-end torque. The first cam was the winner with respect to torque, due to the lower power band. Steve Brule of Westech is the man behind the magic. The moment that we had all been waiting for arrived as we moved to the last and final cam of our test - our naturally aspirated cam. It was nearing the end of the day and Steve worked feverishly to swap the cam out. This was an off-the-shelf grind that was going to suit our lightweight 5-speed car perfectly. Once again, we did one nitrous run at 950 PSI of bottle pressure for the jetted 150 shot and a 1050 PSI run that pushed it a little further. The slightly reduced lobe separation and exhaust duration were the key benefits of the naturally aspirated cam. The reduced exhaust duration which kept the cylinder pressure higher for a little longer was more than likely where we saw our gains. The naturally aspirated cam picked up the most power on the 150 shot, though the custom grind cam made slightly more horsepower (but a little less torque) when run at the higher bottle pressure. The reason for this - we just weren't using enough nitrous compared to the naturally aspirated power of the engine - to make the more nitrous friendly camshafts pull ahead. If we were using a 300 hp nitrous shot, we're sure the results would be much different. The morale of this story - talk to your engine builder, and the experts at COMP Cams - before making any moves! However, the best way to find the most horsepower is to dyno test several cams, just like we did. Not only did we learn alot, but we've figured out the best cam for our application. Ultimately, the naturally aspirated cam came out on top in total power gains on and off the nitrous, all the way up to a 175 shot. Now, we arent saying that the nitrous cams wont shine much larger doses, but in the end, we decided to keep the naturally aspirated cam in the engine. Also, keep in mind that the first nitrous cam is designed for lower RPM vehicles, so it may be just the cam that fits your application. On a side note, the ZEX nitrous system performed flawlessly, repeating consistent air/fuel ratios and without a single nitrous hiccup. 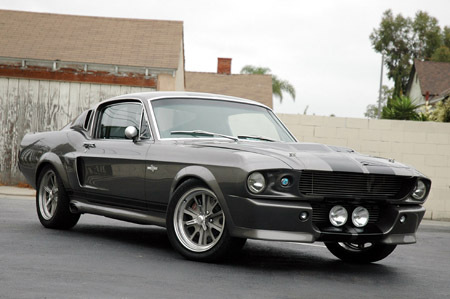 This entry was written by by mark@stangtv (Stang TV Forums) and posted here on Monday, August 3rd, 2009 at 12:28 pm and is filed under Vintage Mustangs. This article was not written by us, rather gathered using RSS feeds listed here. We take no credit for this article. Both comments and pings are currently closed.